Voluntary workouts in the NFL aren’t really voluntary, for most of the league. When you’re Tom Brady, they’re voluntary. Last year, Brady didn’t come to the voluntary parts of the New England Patriots’ offseason program, and the Patriots won a Super Bowl. Brady has the same plan this year. Brady is not expected for the team’s offseason program, according to Ian Rapoport of NFL Network. That’s rare, but Brady is a rare case. There’s a reason that any player not showing up to the “voluntary” workouts becomes a story. NFL teams can’t force players to show up, but ... well, everyone knows they’re supposed to show up. A second-year backup shouldn’t try to follow Brady’s lead here. Brady can skip it. He has played 19 NFL seasons, is as familiar with the offense as any quarterback could possibly be, and is still playing at a high level. Sure, it might help with the timing of the offense to have a few extra months of workouts, but let’s assume Brady and the Patriots will be fine for training camp. And if taking extra time away keeps Brady coming back at age 41, they’re probably fine with that tradeoff. Why is Brady staying away from workouts? Pro Football Talk speculated that Brady skipping voluntary workouts in recent years might be a compromise with his wife as he plays into his 40s. Brady often posts about his family on social media, and he clearly likes spending time with his wife and children. It could also be as simple as Brady needing to recharge after so many seasons on the grind. It’s not like Brady won’t be in shape. Rapoport said Brady might even “bulk up” for this season. 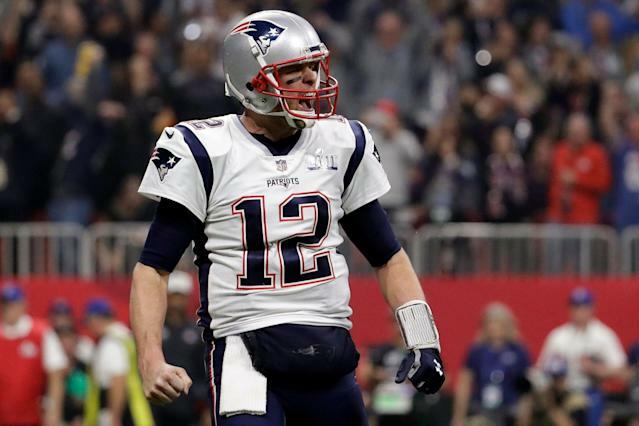 Brady is pretty maniacal about his health; he’ll be ready for the season. For most of the NFL, it’s time to get to work with the sanctioned part of the offseason program. For the most accomplished quarterback in NFL history, he’ll show up when he has to.